Name: Gummy stem blight, Stagonosporopsis spp. Symptoms on seedlings occur as light to dark brown spots on the cotyledons. Infection of the cotyledons or hypocotyl causes a water-soaked, brown discolouration of the tissues, followed by tissue desiccation and collapse. Seedlings die rapidly after infection of either the hypocotyl or cotyledons. On older plants, leaf symptoms appear as small circular, tan spots up to 5 mm in diameter, sometimes surrounded by a yellow halo. Under favourable conditions, the leaf lesions may enlarge rapidly and become irregular in shape. When the lesions coalesce, the entire leaf may become blighted. The spots dry, become cracked and may tear, giving leaves a tattered appearance. Infection often begins at the leaf margins. To mark the next phase of the Nursery Industry Communications Program (NY18001), we are asking levy payers to complete our short survey to ensure we are getting you the information that you want – the way you want it! Delivered by our team of agribusiness communication specialists, our job is to ensure you receive the latest levy funded R&D and marketing to help grow your business and advance your career in this thriving industry. Through our communications program, we utilise several channels to maximise our reach – providing updates on the NGIA and Your Levy @ Work websites, in the Hort Journal, across social media, and in our monthly e-newsletter delivered straight to your inbox. Several initiatives are rolling out across the horticultural sector in the first half of 2019; bringing together a range of industries with the goal to promote better business, education, and industry growth. In the lead up to the release of their new Strategic Plan in mid-2019, Hort Innovation has been delivering cross-country workshops to gain insights on improving the cohesion between the sector and their business’s direction. Intended for growers and key industry stakeholders, each workshop gives attendees the chance to share their thoughts on the successes and potential improvements Hort Innovation could make in order to better invest horticultural levies. The series of workshops kicked off in Orange, NSW on January 29, 2019. Since then they have completed nine workshops across New South Wales, Tasmania and Western Australia. 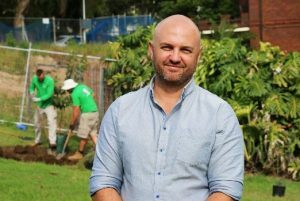 Four of Australia’s leading nursery industry professionals have been awarded a Hort Masterclass Scholarship for 2019. Luke Vanderstaay from Westland Nurseries (TAS), Richard Ramsden from Tasmanian Plant Growers (TAS), Kristian Spink from Marlborough Nursery (QLD) and David Russell from Wallum Nurseries (QLD) will each receive a $10,000 scholarship to go towards their Hort Masterclass tuition fees. Described as a mini-MBA, the course equips the future leaders of Australia’s horticultural sector, with the skills and knowledge to advance and accelerate their careers. The scholarships are funded as part of the Hort Frontiers Leadership Fund using nursery industry levies and contributions from the Australian Government. Looking at the ‘return on investment’ for production nurseries that implement a structured and effective pest management and monitoring program is the key focus of a new levy funded project. Known as ‘Improving Pest Management’ (NY17009) the project is funded by Hort Innovation using nursery industry levies and funds from the Australian Government. A two-year (2019/2020) economic analysis on integrated pest management (IPM), with on farm trials and a cost-benefit analysis of the IPM principles of crop monitoring and site surveillance.